Ubisoft has released comprehensive patch notes for Assassin’s Creed Odyssey update 1.2.0. Clocking in at 4.4 GB on PS4 (that’s 4.1 and 3.9GB on Xbox One and PC respectively), the latest update addresses a number of lingering issues with Ubisoft’s latest foray into the AC universe, whilst also paving the way for the game’s next DLC expansion, The Fate of Atlantis. Like Legacy of the First Blade, The Fate of Atlantis is a three-part premium expansion that invites players to explore the depths of the mysterious sunken city, and generally extend their journeys through classical Greece. The 1.2.0 update lays the groundwork for Episode 1 (Fields of Elysium) of this expansion; scheduled to release on the 23rd April. Whilst also fulfilling the same function for the latest chapter in Odyssey’s Lost Tales of Ancient Greece. Away from Odyssey’s DLC offerings, the patch focuses primarily on smoothing out some of the game’s rougher edges. This includes implementing a new Custom Gear Loadouts feature; ensuring that Orichalcum deposits display correctly in New Game Plus; updating the underwater mechanics so that players actually take damage when their oxygen gauge has been depleted; addressing various quest progression issues, including one that left players missing all mainline quests after loading a save file; fixing a bug that prevented players from upgrading their spear at the forge; and revamping the elemental resistance system so it actually works as intended. 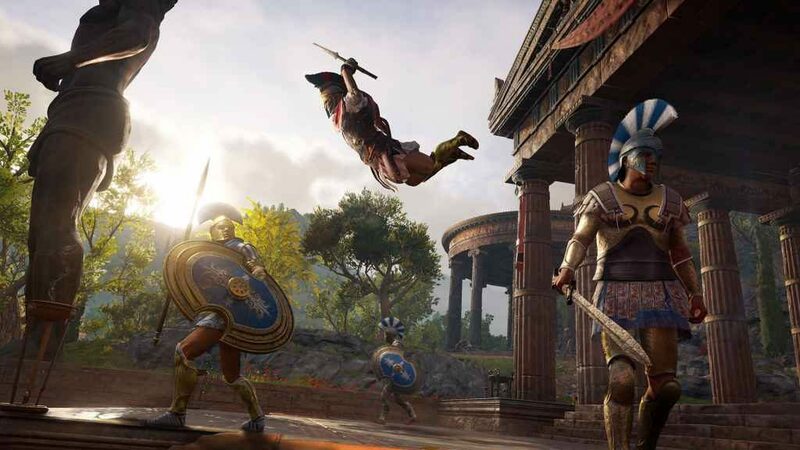 Head over to the Assassin’s Creed Odyssey website to review the full, unadulterated patch notes. And be sure to let us know if you’ll be picking up The Fate of Atlantis in a couple of weeks’ time. I really want to start playing this, but from the description in this article it sounds like it’s still broken as hell! Should I give it a go now, or just wait for a couple more months until more creases are ironed out?